Lyme Disease, a bacterial infection transmitted by deer ticks, is the most common bug- or animal-borne illness in the United States today. Cases of Lyme Disease have more than doubled in the last 20 years, according to the Centers for Disease Control. Sometimes dubbed the “Great Imitator”, Lyme Disease comprises symptoms that closely resemble those of many other diseases, including Multiple Sclerosis, Lupus, Chronic Fatigue Syndrome, and Fibromyalgia. While imminently treatable in the early stages of detection, Lyme Disease can cause blindness and even death in some individuals, and chronic Lyme Disease symptoms can last for years. 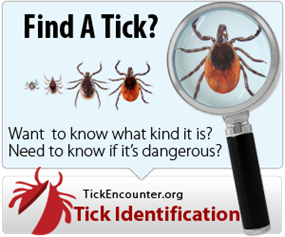 Most of us, at one time or another, have pulled adult ticks off of our dog or the kids after spending the day outside. Did you know, however, that up to 90% of instances of Lyme Disease are caused by the nymph tick, which is the size of a tip of a pen? These ticks are so small that they’re almost impossible to spot in your hair or on your pet. That’s why, when it comes to Lyme Disease, an ounce of prevention really is worth a pound of cure. 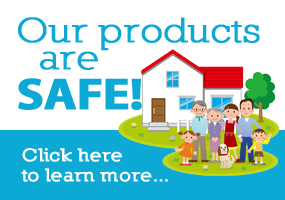 Below are a few basic tips to tick-proof your yard and protect your family from this potentially deadly illness. Keep it neat. Ticks don’t like to be out in the open; keep your grass closely mowed at all times. Maintain separation.Ticks generally hang out in the “fringe areas” of your yard – those spots between the grass and any peripheral woods or bushes. Create a three-foot wide transition zone of wood chips or gravel between these areas and your yard. Place your lawn furniture and children’s swing sets out in the open in full sun; don’t locate them in the fringe areas. Bag your leaves. Fall leaves are beautiful while on the trees, but they become a perfect home for ticks once on the ground. Bag leaves and dispose of them promptly, and NEVER let your kids jump in leaf piles. Make sure to cover yourself from head to toe while raking the leaves, and change your clothes in the garage or in the laundry room; you don’t want those pests hitching a ride into your house. Keep the deer at bay. 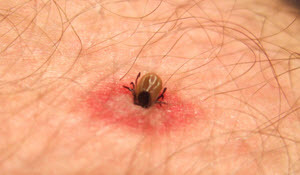 Lyme Disease is transmitted by deer ticks, which, not surprisingly, live on deer (as well as on squirrels and birds). Each deer harbors up to 1000 ticks, and female ticks can lay up to 18,000 eggs. The result? Thousands of ticks infesting your yard. According to the Rutgers New Jersey Agricultural Extension Service, deer do not like strong smelling herbs. So if you have a green thumb, plant deer-repelling herbs such as anise, catnip, sage, horseradish, lavender, lemon balm, marjoram, mint, oregano and rosemary in your garden. Watch for rodents. Rodents, particularly the white footed mouse, are known tick carriers; in fact, at one stage in the deer tick’s lifecycle, it actually lives with white footed mice. Firewood and other debris are ideal rodent hiding places, so stack your firewood neatly, and keep your yard free of debris. Call in the experts. 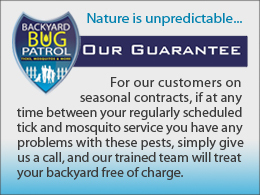 Hire a qualified tick control professional who specializes in the eradication of ticks – and make sure they clarify that they are tick removal experts. 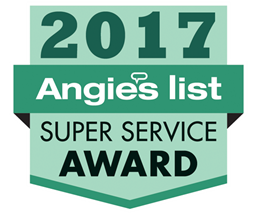 Generally, these professionals will come to your property and spray the areas where ticks reside, killing them on contact and establishing a preventative barrier. Ticks Love Christmas Trees Too! Ticks are right in your Back Yard! Tiny Ticks Cause Big Problems: Coming to a County Near You!